Spoiler: It was always lower case because the font I chose didn't have a caps set. It stuck and I love it to this day. A lot has happened over the past few years. I don't think I have been quite the same since my Dad passed away. In his last days, I bonded and shared so many endearing moments about his 32 yr old HVAC business that I will cherish forever. I look at the world much different (I do think for the better), but also more realistic. Anyone who has lost a parent can certainly empathize. I share his entrepreneurial passion and his unbridled work ethic. I see it in my two young sons. My Dad would have adored the little men they are becoming. The irony is, the anniversary of my store opening to the public in 2012, happens to be anniversary of my Dad's passing in 2014. Poetic, if nothing else. In 2012, I embarked on two life-altering journeys. Giving birth to my beautiful Matthew, and catapulting my business into the next level by moving into a brick & mortar, studio space. I was excited, scared and overcome with ideas (maybe it was the exhaustion of having an 19 month old and a newborn!) as to what would be in store for my little boutique. Side note: Did I mention I was a high school fine art and design teacher for 9 years before taking maternity? Fun fact: I loved my career to the moon (and all of my beautiful souled students)... but I loved my babies more. The commute was too great (Oakville to Courtice was a trek! Google it, it's pretty far!) and my little gentlemen were enough to take a long pause from teaching. Throughout the past 4+ years with the studio, my children would make appearances at editorial shoots, play Lego and trains on the studio floor while I answered client emails, worked with staff or had client meetings. As the boys got older and needing me less, (my heart will shatter in 1000 pieces when they move out! They are only 4 & 6 so there is time yet!) my mind has wandered back into my past life as an educator. Pair that up with me not wanting to miss 1 min more of my boys growing up (did I mention being an entrepreneur means your brain NEVER rests? Now I know what my Dad went through - there is that life lens again.) can be a recipe for an existential crisis in the making. So, my journey shifts. 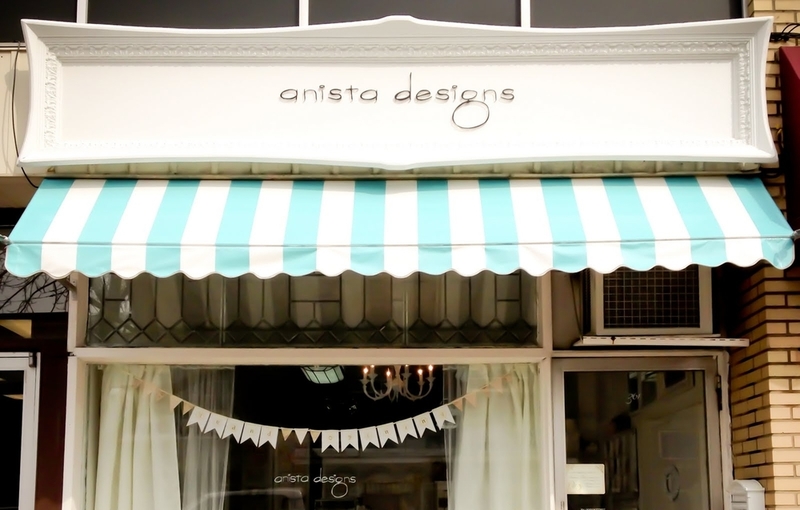 I anticipate the day where I can be in a formal educational setting again, but for now, I am going to move anista designs from my adorably cute studio and bring it home with my heart. I want to breathe and do special projects. I don't want to feel controlled by someone's money, but rather feel like a client trusts my business like a good friend, to design and create for them. I want my time to be valued by prospective clients, where we chat over tea because they already knew I was the stationer for them before they walked in the door. They, like many who we hold dear, trusted our countless referrals, our creative expertise and appreciated the value by investing in us to represent their special day. Meeting us in person was simply icing on the cake because we prove to be knowledgable, helpful, passionate and on most days, pretty funny! I love my little studio, but I love my family more. I have decided to move away from 361 Kerr Street, and be more exclusive. Referrals and particular design projects will be our focus. That, and more dinners home, more birthdays attended and more cheering for t-ball games, caterpillar hunting and snuggles. Oh there will be snuggles. I would love for you to join me for some treats as I toast my adorable studio, show the ol' girl a proper farewell and dream up new ideas, moving forward.